Our good friend, Ron Moore, Esquire writes us “I actually had a client researching lawyers who looked at the Truth About Forensic Science geek of the week posts and liked my answers. It made a difference in who he decided to hire. 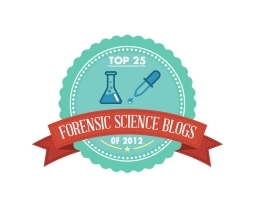 Thanks!” So, there is a lot of value in www.TheTruthAboutForensicScience.com Forensic Science Geek of the Week Challenge. Try it out today. The challenge will be posted Sunday morning 12 noon EST. Answers to the challenge will be entered by responding to this blog post or thewww.TheTruthAboutForensicScience.com FaceBook fan page. All comments that are answers to this blog will released after 9pm EST. “www.TheTruthAboutForensicScience.com Forensic Science Geek of the Week” is entitled a one time post of his/her picture on this blog and the www.TheTruthAboutForensicScience.com FaceBook fan page. The coveted title will be his/her for that week. Additionally, a winner will be allowed one link to one webpage of his/her choice. Both the picture and the weblink is subject to the approval of Justin J McShane, Esquire and will only be screened for appropriate taste. The winner will be announced Sunday night. A winner may only repeat two times in a row, then will have to sit out a week to be eligible again. This person, who was the two time in a row winner, may answer the question, but will be disqualified from the honor so as to allow others to participate. This is for learning and for fun. EVERYONE IS ENCOURAGED TO TRY TO ANSWER THE WEEKLY QUESTION. So give it a shot. The www.TheTruthAboutForensicScience.com “Forensic Science Geek of the Week” challenge question. Remember the first full and complete answer wins the honor and also gets his/her photo displayed, bragging rights for the week and finally website promotion. 2. Why does it matter in forensic science? 3. Give me some broad highlights about it. Week 8: Ron Moore, B.S., J.D. Week 9: Ron Moore, B.S., J.D. Week 12: Ron Moore, B.S., J.D. Week 13: Ron Moore, B.S., J.D. Week 23: Ron Moore, B.S., J.D. Week 40: Robert Lantz, Ph.D.
WEEK 41: UNCLAIMED, IT COULD BE YOU! Week 62: Robert Lantz, Ph.D.
Week 68: Dr. Barbara Vonderhaar, PhD. Week 81: UNCLAIMED. IT COULD BE YOU! Week 83: Robert Lantz, Ph.D.
Week 89: UNCLAIMED. IT COULD BE YOU. Week 94: Unclaimed. It could be you! Week 96: Robert Lantz, Ph.D.
Week 97: Unclaimed. It could be you! Week 99: Unclaimed. It could be you! Week 101: Unclaimed. It could be you! Harrisburg DUI attorney Justin J. McShane is the President/CEO of The McShane Firm, LLC - Pennsylvania's top criminal law and DUI law firm. He is the highest rated DUI attorney in PA as rated by Avvo.com. Justin McShane is a double Board certified attorney. He is the first and so far the only Pennsylvania attorney to achieve American Bar Association recognized board certification in DUI defense from the National College for DUI Defense, Inc. He is also a Board Certified Criminal Trial Advocate by the National Board of Trial Advocacy, a Pennsylvania Supreme Court Approved Agency. Justin McShane is the first and so far the only Pennsylvania attorney to achieve American Bar Association recognized board certification in DUI defense from the National College for DUI Defense, Inc. This is the symbol for The International Bureau of Weights and Measures or BIPM (from it’s French name). It helps to ensure uniformity of International System of Unit weights and measures around the world. It does so through a series of consultative committees, whose members are the national metrology laboratories of the Convention’s member states, and through its own laboratory work. The BIPM carries out measurement-related research. It takes part in and organizes international comparisons of national measurement standards and performs calibrations for member states. The BIPM has an important role in maintaining accurate worldwide time of day. It combines, analyzes, and averages the official atomic time standards of member nations around the world to create a single, official Coordinated Universal Time (UTC). Forensics expert and Pennsylvania DUI attorney Justin J. McShane presents an ongoing forensic science reference for DUI lawyers and criminal defense attorneys. Attorney McShane is the Chairman/CEO of The McShane Firm, Pennsylvania's top DUI law office. Located in Harrisburg, PA, The McShane Firm specializes in using forensic science to defend citizens accused of a crime. Josh D. Lee is a Vinita, Oklahoma based criminal defense attorney. He is nationally recognized as a lawyer-scientist for his expertise on forensic science related topics. He has lectured well over 100 times in 18 diﬀerent states. 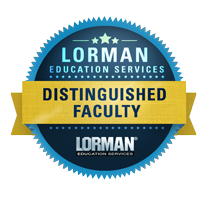 Mr. Lee has been invited to lecture at the American Chemical Society (ACS) as well as the American Academy of Forensic Science (AAFS). In 2011, Josh was elected Forensic Science Co-Chairman for the Chemistry and the Law Division of the ACS. He is also an “Assistant Chromatography Instructor” for the ACS.